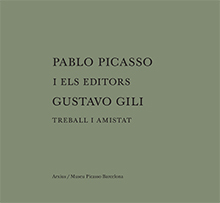 "Pablo Picasso and the publishers Gustavo Gili: work and friendship" aims to take an in-depth look at the ties of the artist with two generations of the Barcelona publishers. The history of this relationship, which has the love of books as a thread, took place in two stages. 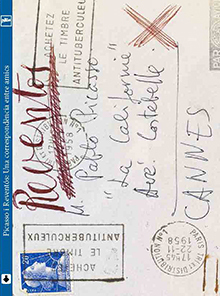 The first includes Gustau Gili Roig's contacts with Picasso between 1926 and 1930, which, despite everything, didn't end up in the form of a publishing project. The second one, started in 1956 by Gustau Gili Esteve and his wife, Anna Maria Torra, is defined by the ties of friendship with Pablo and Jacqueline Picasso and by the consolidation of a professional collaboration that culminated in exquisite editions such as "Tauromaquia" or "Art of bullfighting", by Pepe Illo, or "The burial of the count of Orgaz". "Sabartés by Picasso by Sabartés" aims to contribute to making known the life and work of Jaume Sabartés i Gual (Barcelona, 1881 - Paris, 1968), founder of the Museu Picasso of Barcelona. Intimate friend and confidant of Pablo Picasso, he was his personal secretary from November 1935 until he died. But, apart from this well-known facet of his life, Sabartés carried out an intense professional activity as a writer and biographer of Picasso. 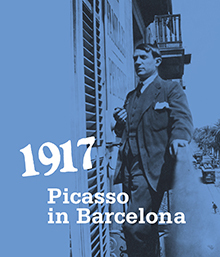 Coinciding with the centenary of the longest visit that Picasso made to Barcelona, after having settled down definitively in Paris in 1904, the Museu Picasso has organised an exhibition that, beyond being commemorative, provides new data to the life and creative chronology of the artist. 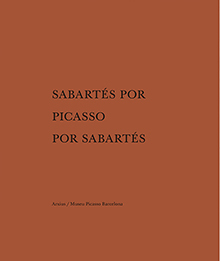 The catalogue narrates the meeting up again of Picasso with the city – between June and November 1917, and it does so by contextualising a very significant group of works from the permanent collection of the museum, which were carried out precisely during those months, by means of documents that until now had been unpublished (the majority conserved in the Picasso Archives of Paris) and of the stylistic and thematic plurality of the numerous drawings that fill three of his sketchbooks. The Picasso that the catalogue shows is the Picasso who started his relation with Olga Khokhlova, who strolled with her around some of the best known places of the city, visiting Barcelona friends, and going to the theatre or watching bullfights. The result is a rich and suggestive monograph that approaches us to an artist who debated between the cleansing of classicism and the survival of the Cubist language. All in all, a close and active Picasso, and in permanent transformation. With the organisation of the exhibition «The shared workshop», the Museu Picasso links once again the work of the artist with other members of his family: his nephews J. Fín and Vilató and the son of the latter, Xavier. J. Fín and Vilató grew up surrounded by art, and their uncle, a permanently present figure, helped them to channel their creative vocation, accompanying them in their initiation into the world of engraving and prints. The catalogue that accompanies the exhibition takes as its main axis the unknown world of the printing workshops in which the four artists worked, especially in Lacourière-Frelaut in Paris. 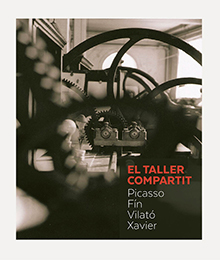 The printing craftsmen of the French capital and also of Barcelona, are the authentic protagonists of this story. 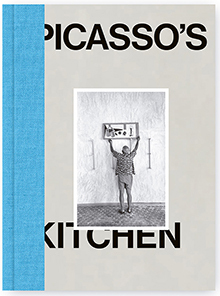 By means of their mastery we are able to discover the personality and peculiarities of the printed work of each of the artists of the Picasso family and how they were helped to develop their talent. The pages of this book give evidence of the love that all of them, artists and craftsmen, felt for printing, in any of their multiple manifestations, and the profound complicity that was established between them. The Barcelona of the First World War years was a complex city, fully immersed in various social and political conflicts, and culturally very active, thanks, in part, to the presence of many artists who took refuge there. 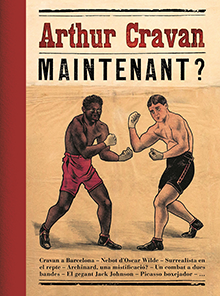 Within this context of vibrant modernity, an enigmatic and complex character arrived in the city to fight in a boxing match: Arthur Cravan. The Museu Picasso has wanted to dedicate an exhibition to this controversial figure -poet and writer, dadaist "avant la lettre", boxer, lecturer, performer, traveller─ who in 1916 took on the world champion Jack Johnson and managed to disturb the microcosm of Barcelona for a few weeks. His rather unconventional life and his disappearance continues to turn him, even today, into a myth with a lot to discover. The exhibition, which counts on a large volume of written and graphic documentation, helps us to approach some of these less known aspects of the trajectory of Cravan, and it is, at the same time, an excellent prelude to understanding the cultural environment of a Barcelona that Picasso would visit the following year. 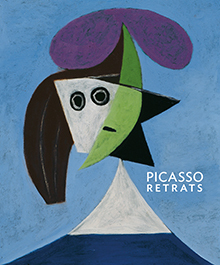 This catalogue, produced in collaboration with the National Portrait Gallery of London, includes around two hundred pieces that approach us in an exhaustive way to the passion of Picasso for portraits. Human figures, and specifically portraits, were an essential element in the work of the artist, from his formative years until the end of his life. The perspicacity for capturing the peculiarities and character traits of the personages that he represented, either if they were members of his circle of family and friends or the women with whom he related, and the ability to reproduce facial expressions, postures and gestures, were already clearly demonstrated in the caricatures he had drawn as a child. By means of the expert and documented texts of the curator Elizabeth Cowling, we can discover how important his models were for Picasso, how he tried to adapt a certain style to the understanding of his personality and how he strove to shape an idea in the most complete way possible. 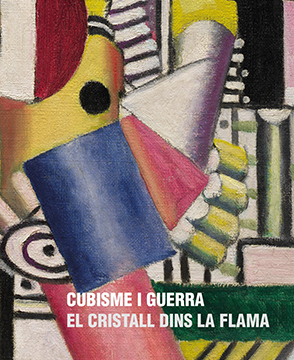 "Cubism and War. The Crystal in the Flame" is the catalogue of the exhibition that Christopher Green, with his habitual intellectual solidity, has curated for the Museu Picasso de Barcelona. The book includes a selection of works by cubist artists who lived in Paris, in the rearguard, during the First World War, and who responded with their work to the horrible reality that they had to live close to. The clarity and balance of their cubist works – like a crystal – and the research of aesthetic purity, confronted the mud and the terrible experiences of the frontline, and this is where the metaphor of the title came from. Picasso lived the most important stage of his artistic formation in Barcelona. But in the city he didn't only learn the secrets of his trade and perfected the techniques, but he also got to know some of the friends who would accompany him for a good part of his life. Ramon and Jacint Reventós were two of these friends. Picasso first set foot Paris in the autumn of 1900, on a visit to the Universal Exposition. A year later he had his first Paris show, at the prestigious Vollard gallery, and had begun to make a name among the city's artists and intellectuals. The catalogue of the exhibition 'Picasso in Paris 1900-1907. Eating Fire', by Picasso expert Marilyn McCully, profiles the young artist's life during this crucial period, revealing the impact made on him by his first-hand exposure to the work of certain individual artists, Van Gogh, Toulouse-Lautrec, Steinlen, Rodin, Cézanne and Puvis de Chavannes and tracing the process that led him to forge a style of his own and become the leading figure of the French avant-garde.